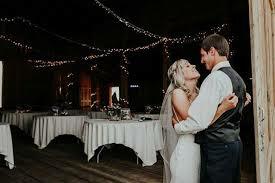 Quotes and proposals do not guarantee availability of rental equipment. Equipment and items will be reserved only upon receipt of a valid credit card payment, a signed contract and a 20% NON-REFUNDABLE deposit. For security against damaged items, a non-refundable damage waiver of 10% will be included. Client must provide Park Avenue Parties with a final count 7 days prior to event at which time an invoice with balance due will be provided. Full payment is due 2 days prior to the event. No orders will be scheduled for delivery until full payment is received. Please be sure your site is ready (i.e. lawns mowed, vehicles out of the way, etc.) before crew arrives. Client will inform Park Avenue Parties of the existence of any underground utilities (i.e. phone or gas lines, sprinkler systems, septic systems, etc.) or conditions that may interfere with the ability to stake and/or anchor equipment. An 811 Locate is require by law to dig. Client assumes all responsibility for all damage to underground equipment in absence of such notice. We provide 24-hour on-call service to our clients with tent installations. Client may retain the services of a Park Avenue Parties employee during an event. Additional charges may apply for this service. Delivery service is available on all orders regardless of size. All fees are based on tailgate delivery and charged by geographic location. Additional delivery charges will occur for 2nd floor or higher delivery locations, excessive distance for unloading and loading trucks, specific delivery pick-up times, and after-hours delivery and pick-up. Delivery fees quoted may change after site inspection. All items will be delivered and picked up at a designated location. Additional fees required for more than one pick-up or drop-off location. The client should be available to count all items upon delivery and pick-up. The client will be responsible for returning or replacing any missing items. Orders are typically delivered 1-3 days in advance of your event while pick-ups occur 1-2 days following your event. Special times can be requested, but are not guaranteed. Delivery time can vary up to 3 hours from the scheduled delivery. Scheduled delivery time is decided the week of the party. Responsibility for equipment remains with the client from the time of the delivery to the time of pick-up. Please be sure all equipment is secured when not in use and protected from the weather. All floral arrangements, trash, and decorations of any kind should be removed from tent before scheduled pick-up time. All chairs and tables should be stacked as delivered. Clean-up services are available at an additional cost with prior notification. All dishes, glassware, and cooking equipment, should be returned to proper rack or container and assembled at a single location for pick-up. Dishes, flatware, and any other equipment that has come into contact with food must be well rinsed and food-free. Linens should also be food and particle free and be shaken and put into the canvas laundry bags provided. Linens that are returned with burns, holes, tears, wax damage, or are permanently stained will be billed at replacement cost. See the Linen Rental Guidelines sheet provided with the linens for more information. Client understands that tents are temporary structures designed to provide short-term protection from weather conditions. There may be situations, particularly those involving strong winds, lightening and snow, in which the tents will NOT provide protection and may even be damaged or blown over. Evacuation of tents in order to avoid injury is seriously recommended when severe weather threatens the area. Seek shelter during such conditions. Because it may be difficult to determine if the weather is severe enough to necessitate evacuations, it is best to err on the side of caution. If in doubt evacuate. Client agrees that in the event of a predicted or actual storm or excessive winds, Park Avenue Parties may dismantle any equipment that has been previously installed to ensure safety of all involved. Park Avenue Parties may choose to alter the equipment that has been previously installed to ensure safety of all involved. Park Avenue parties may choose to alter the delivery/pick-up times according to weather conditions, as tents cannot be assembled or disassembled in severe weather conditions. Tents are secured with multiple ground stakes at each corner for maximum safety. Tents secured with water barrels in lieu of stakes are never recommended. Tents scheduled after Labor Day and until Memorial Day run the risk of collapse during snow storms. We reserve the right to take down or not erect a tent if heavy snow is forecasted. Client is responsible for the rental cost of the tent structure and tent accessories even if the tent is erected or delivered and not used. The tent and/or rented equipment are not ready for prearranged pick-up. Delivery or pick-up is from any location other that ground level (upstairs or downstairs). All chairs and tables are not stacked as delivered for pick-up. Food service items are not rinsed and food-free. *Caterer must be contacted on this matter. Customer requires deliveries or pick-ups before or after normal business hours: 8am – 6pm Monday – Sunday. Site requires custom tent installations (i.e. on asphalt, decks, immovable obstructions, etc.). Tent crew must haul equipment from truck to site and distance is 50 ft or more. Deliveries or set-ups on holidays and holiday weekends. Be sure all equipment is returned according to these TERMS AND CONDITIONS. The client is solely responsible for any additional charges incurred as a result of failure to meet these conditions. All collection fees, attorney fees, court costs, or any expense involved in the collection of rental charges will be the client’s responsibility.